Rise Above, Everybody knows that the Devil has all the best tunes. From Robert Johnson selling his soul at the crossroads to the blood-soaked black metal of Norway, Satan has long loomed large over the music world, striking fear into the hearts of the sanctimonious. But nothing that has gone before will prepare you for the arrival of Twin Temple: Los Angeles? one and only purveyors of Satanic Doo-Wop. Devout Satanists and meticulous preservers of rock?n?roll?s ancient, timeless spirit, this black-clad and effortlessly stylish duo have created a sound that blends their Satanic ideology with the irresistible sass and melody of classic ?50s and ?60s rock ?n?roll. 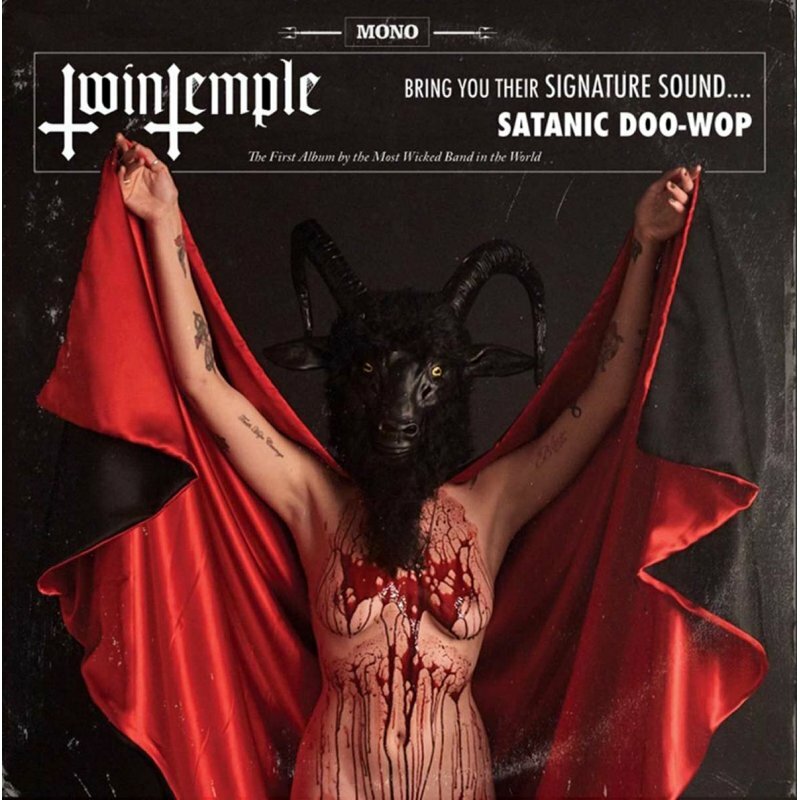 The result is Twin Temple (Bring You Their Signature Sound...Satanic Doo-Wop), a debut album that not only serves to salute the Dark One, but also delivers some of the catchiest and coolest music to emerge from any genre in years.